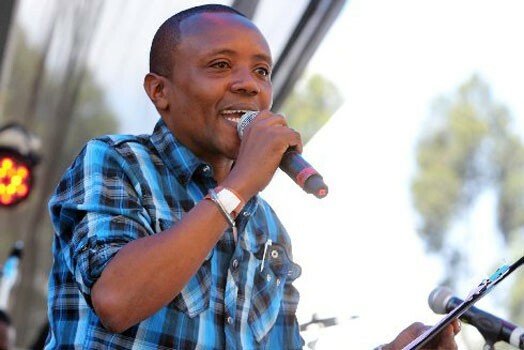 During the news year’s event Classic 105 presenter Maina Kageni was among the many who attended Tanzanian bongo singer Ali kiba’s concert. After the concert maina could not resist to pose for as photo with Ali Kiba but their pose left many social media users talking. 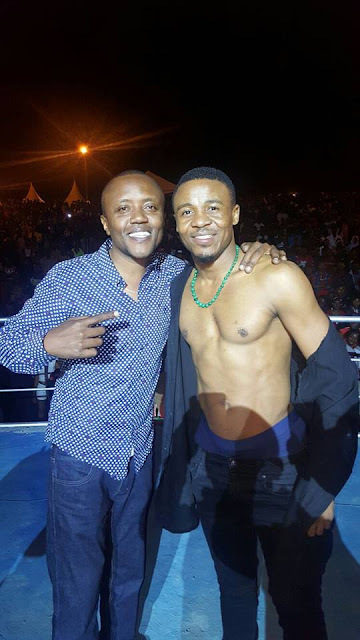 Ali Kiba took off his shirt and exposed his six packs while maina’s hand was on the shoulders of the bongo artist. Well their fans took it too personal as this is what they had to say. Clemens Marsh: Next time make sure ur dressing like maina hapa 16 hatutaki miarisho. Lucas Misati: What cud be the problem if tat guy cud button up his shirt...??? Paul Kidéw: Kifua wazi! Ishara tosha hiyo aisee, kumbe!!!!! Maureen Agina: Ali Kiba uuuuuuuwi! Hizo pack zitanimaliza!